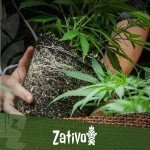 Zativo - Grow Question: Can You Dry Cannabis Outdoors? BlogGrow Question: Can You Dry Cannabis Outdoors? Grow Question: Can You Dry Cannabis Outdoors? Guerrilla and garden cannabis growers often ask us if it is OK to dry their crop outdoors, so we thought we would put together a quick answer for everyone. It is not an unusual question really, to ask whether the crop you have lovingly taken from seed to harvest in the great outdoors can remain there while it dries. You could not be faulted for thinking it is probably OK. 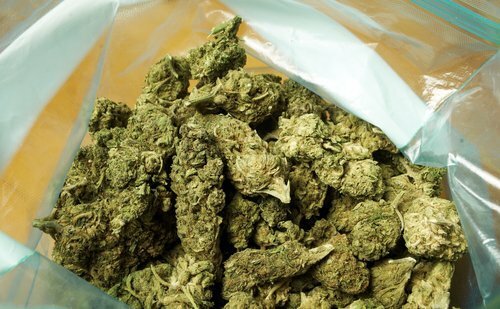 It is a question we get asked a lot, especially by guerrilla growers who do not want to take their cannabis plant back to their house before the bud is ready to be stored in airtight containers – for many, it is a matter of discretion. Well, while cannabis can be dried outdoors, it is not recommended. This is for a couple of reasons. First, once your cannabis has been harvested, the THC content held within will rapidly degrade when exposed to light. This means if you dry your cannabis where the sun can get to it, the potency of your bud is going to take a huge hit. Secondly, it is near impossible to control drying conditions outdoors. If the weather is too hot and dry, it can cause your cannabis to dry out too quickly, leaving behind excess chlorophyll and sugar, which in turn will make it taste bitter. If it is wet and humid, it could cause mould. The best way to dry cannabis is in a cool, dark place that you can control. This allows the cannabis to dry out slowly, without any direct light or heat interfering. You can also add in an oscillating fan to the drying area. This will help keep air moving, reducing the likelihood of mould – just make sure it doesn’t directly blow onto the cannabis. In roughly 10-14 days, the cannabis should be dry enough to begin the curing process. What is the best time to transplant your cannabis plants?